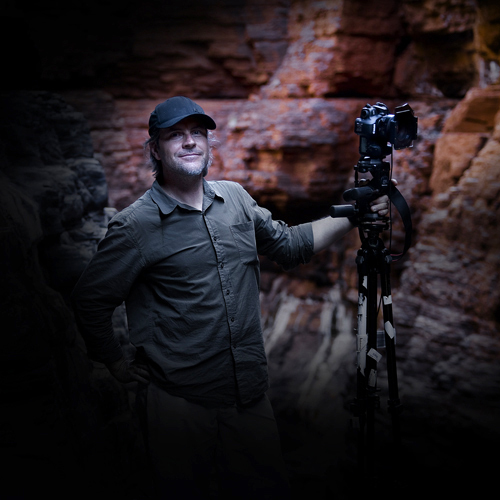 Christian Fletcher is a Landscape photographer living in the Southwest of Western Australia. His work can be viewed on-line or at one of his three galleries, Dunsborough, Margaret River and Mandurah. Lisa here, love it……magic stuff, inspiring, just need to buy myself a couple of extra days a week and do something similar on my site. Keep it up, hey can you tell me more about TNFP filter? the photography course sounds like a fab idea chris, where will you have the classes? The promo video is very cool and begs you to visit the gallery. Thanks for the comments Lisa. I am loving the blogging thing but it does take a bit of time and I’m getting more comments now to respond to so it will probably get out of control soon enough. The classes will be at my gallery and will cost about $250 for about 3 hours or so. I ain’t giving all my secrets away for free!!! I send you a private response about the TNFP filter, it is still very top secret. I totally agree Christian, anyone serious about achieving a high standard in their Art must know professional training is an essential step. Lisa, how does $100,000 a year and a company 7 series BMW sound, thats just for the first year? What you do is epic, very inspirational. And i hope to visit your galleries when i make it to the other side of our amazing country. I appreciate your probably to busy to answer this, but after seeing your latest shots i’m going to buy the 5dmark2 and sell my nikon film and digi equipment. I was hoping you could suggest a couple of canon lenses for me to get with it? Maybe 3 essentials in your mind. Make sure you let your canon rep know that i’m buying canon because of you! Thanks for the kind comments mate, I love what I do and am currently at Airlie beach trying to work hard!!! hehe. Glad your looking at the 5D2 it is agreat camera. I would recommend you get prime lenses. I have the 50mm f/1.2, the 400mm f/5.6 and the 16-35mm which I would swap for a wide prime like a 17mm or something. These are my favourite lenses and ones I use every day whilst shooting. In fact that is all I am travelling with. Have sent your email to the canon reps so lets see if they treat me any differently?? Probably not!! Christain, I was blown away by your 5D2 video done for the True North boat. My 5D2 just shot a New York Modern Dance Company underwater in a Seacam housing, but just stills thus far. Soon to turn on the HD video. After the boat, I went to your site and Blog. Forgot to mention, I think highly of your work, it’s helping me to strive harder as a photographer, I herd about you from my friends at the CFL Lab. I heard last week that you were going to Karijini in April with a couple of other photographers, including some that I have met randomly on the coast of Australia ; ) Is this a workshop you are organising? If yes, I would be interested in joining ! I dropped you an email through your website but not sure if you got it. I was in WA this week, I visited two of your galleries, very impressed with the one in Dunsborough: great place, fantastic work.